5 dentists, 10 dental nurses, 4 hygienists and 2 managers, all committed to you and your family. Dazzle your friends and family with a vibrant smile! As Colchester dentists, we are here for you through life. From your first checkup as a toddler, your teeth straightening teen years, your pre-wedding whitening treatment to your first dental implant, your Colchester dental team are ready and waiting to give you all the advice you need. 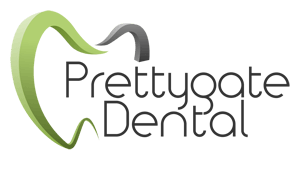 Prettygate Dental Practice was founded in Colchester in 1976, and has been incredibly popular ever since! We like to think of ourselves as the Colchester dentists. As a family owned dental practice based right here in Essex, we know and understand what you and your family need from their local dental practice. As dentists in Colchester, your thoughts and opinions are incredibly important to us. We always put your happiness and wellbeing first; we want you to look forward to seeing your dentist! Though please don’t just take our word for it, see our patient stories and see why we are one of the best dental practices in Colchester! We are a family owned dental practice, and we take great pride in providing the families of Colchester with our dental services that have been designed specifically to cater to all. We have a large team of committed dentists and nurses all of whom are passionate about you and about our community.